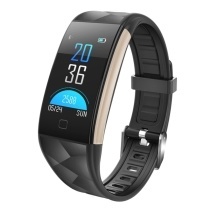 T20 smart bracelet, one key to measure heart rate, blood oxygen, blood pressure, always pay attention to your health. Take a long distance photo, seize the wonderful moment, easily freeze each smiling face. Call vibration reminder to avoid missing important calls. Intelligent reminder to stop you from missing new messages.